Business representatives from a large number of local businesses which have been looted in the aftermath of hurricane Irma are now filing official complaints with the detective department. These official complaints are filed in order the have an official investigation done and have those involved stand responsible for their actions. At least 20 well-known establishments, such as Jewelry stores, furniture and electronic stores, air-conditioning and motorcycles stores have filed official complaints. More complaints are expected to be filed other businesses. The investigation into the mass looting continues to expand as more suspects are being identified and arrested. Many looted items are being found and confiscated. 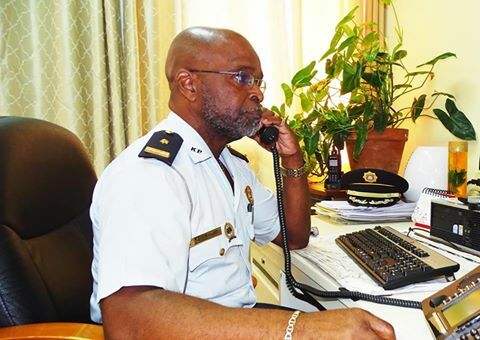 This investigation will continue to move forward with the assistance of the police forces of Aruba, Curacao, the Netherlands, V.K.C, V.K.S, the Royal Marechaussee and the Customs Department. Vital information regarding looting continue to reach the police department which without any doubt demonstrates that the community of Sint Maarten will not accept this type of criminal act and the will do what is necessary to assist in solving this case. A stern warning by the police department is going out to the community to be aware of what is going on since the massive looting after hurricane Irma and not to purchase any items from anyone who may approach you to buy probably looted goods. The prices that these items are sold for are mostly less than the value of that item. If during this investigation you are caught with any new items for which you cannot provide proof of ownership, the possibility may be that this item will be confiscated. You may run the risk of becoming a suspect, be arrested as part of the investigation and have to go through the judicial process.